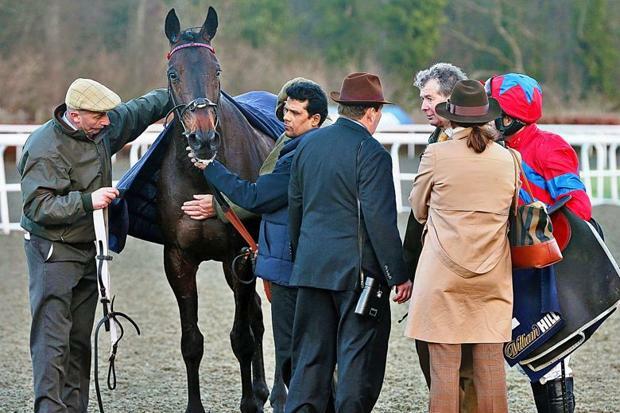 Author Geoff Banks RacingPosted on January 12, 2014 January 14, 2014 Categories Geoff BanksTags Bookmaker, Geoff Banks, henderson, Horse racing, King George, Racing Post, Sprinter Sacre1 Comment on The danger of liberating lunatics? the promise of Kauto Star, win or lose, to boot. I was hopeful the old-timer would get round safely and provide a good test, which he did, and he lost little in defeat to the winner in tacky ground. Two things came out of the King George for me. First, I will be standing Long Run for his boots in March. He hasn’t got home at Cheltenham, or jumped the stiffer fences well enough. Second, if Kauto Star wins the Gold Cup, I shall turn up with my toothbrush and clean his stable. That will have Mr Nicholls rushing out for toothpaste. Kempton also delivered on the promise of affordable racing. A massive crowd turned up to enjoy the day for only £15 in the main enclosure, and in doing so a leaf was taken out of York’s book; that track leads the way with high-quality racing, excellent facilities, cheap champagne and good entrance prices. Kempton has shown what can be delivered in the south and I know we’ll see more of this as some twilight meetings, for example, are to be free. For the bookmakers, it meant plenty of business; for the punters the day meant Nicky Henderson. I’m starting to dislike him. 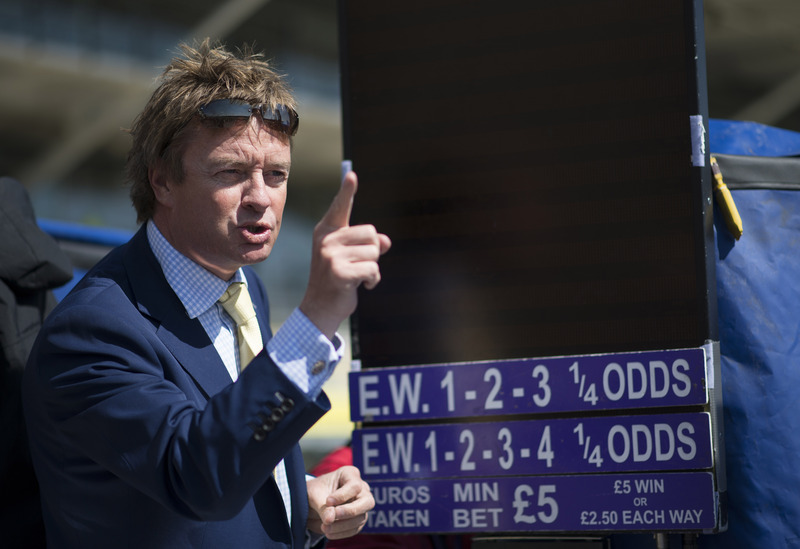 Five winners, which should perhaps have been six, and the forecast up in the King George. We practised our paying-out skills, honed by what appears to be a year of poor results on ‘Super Saturdays’. Binocular was the most expensive for us – as I suspect it was for most – landing a string of big bets. I’ll admit that we managed to win on the day, a feat right up with the loaves and fishes trick. We bet late, and never more than ten minutes before each race, in part here because it took 20 minutes to pay out on the previous race. We found prices had moved somewhat in our favour as larger rates had been taken by then for the fancied runners. Long Run, backed in to 9-2 from 7-1, won very little. But it was a different story in my office, where glum faces greeted me. Traders Elder and Dave had started placing the office furniture on eBay as it was one of the most expensive days of racing for a year. There were a series of wagers on the Pricewise tip, Long Run, including a single wager of £2,000 at 13-2, and oddly enough very little for Kauto Star. Ladbrokes declared the day to be lousy and I would endorse this description. I’m guessing the day was a disastrous one for the off-course firms. I sent my cv to Ronald McDonald. The big betting news of the fortnight was the punishment meted out to the individuals involved in the Sabre Light episode. Such incidents tarnish the image of our sport and doubtless put people off betting. You can hardly blame those who abandon wagering on events that are subject to this behaviour. But it was good to see the BHA robust in pursuing this case. However, I would like to see recognition of the wider responsibility for the root causes of these affairs. Races worth £1,700 simply don’t pay the bills. The Horsemen’s Group has it right, recommending a tariff for races. Owners should withdraw their support if those values are not met. current set-up is to accept less levy. Quality and quantity. Precious little of the former; far too much of the latter. I Struck up a conversation on course recently with a gentleman who came up to shake my hand and pass the time. What he had to say gave pause for thought. He was in his 50s, well turned out and evidently a long-time punter, the type of client we should be concerned with. He said that the uniformity of odds on course tended to put him off having a bet these days. He used to frequent the betting ring and found it normal to see a wide variance of odds. Punting was fun, as indeed it should be. Part of the sport was grabbing the best odds and, of course, everyone offered the same place terms, so that wasn’t an issue. While the best value for the punting dollar remains on course, competing with exchanges has become uniform practice. Certain short-sighted layers may have persuaded the Levy Board that was the route we should take, but in fiscal and service terms it has been a mistake.